An Award winning non acid non alkaline wheel cleaner by bilt hamber laboratories. 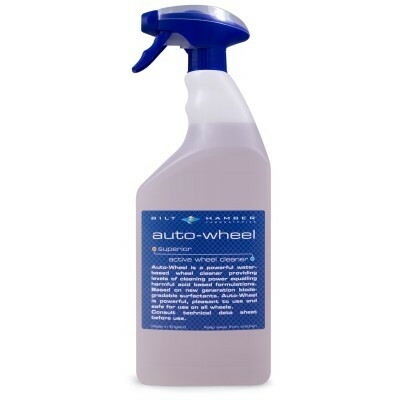 A non-acid non-alkaline wheel cleaner that quickly and in over 90% of cases touch less reactive wheel cleaner. In most cases steel and alloy wheels are either lacquered or painted these coatings protect the metallic surface from corrosion and provide attractive finishes to automotive road wheels. As vehicles brake the dust generated from pads discs and drums is at elevated temperatures, amongst this hot cloud are thousands of particles of hot metallic particles, these bombard the wheel finishes and effectively embed themselves in the finish. Once lodged they are extremely difficult to remove, acid based wheel cleaners attack these metal particles and effectively attack the particle reducing its size allowing the particle and dirt clinging to it to escape, caustic wheel cleaners are less effective than acid ones on brake dust but can attack organic coatings such as lacquers and paints on short exposure they attack any organic matter accumulated around the embedded particle and produce a seemingly clean surface, however with continued use they will dull and diminish the coating leaving a wheel surface that needs refinishing. 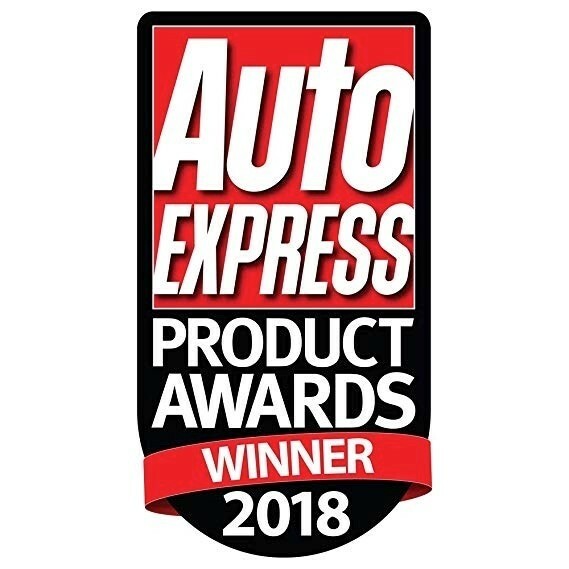 auto-wheel works in an entirely different way, and has proven itself by winning independent tests conducted by the UK&apos;s biggest selling automotive magazine even against powerful acid and alkaline cleaners. the wheel spotless. In severe cases a brush can be used to assist the process. It’s a fantastic product, does as it says on the tin! It's a bit pongy but fantastic. Spray on, leave 5 minutes & jet off. It all just runs away !